Presentation Skills For Technical Professional – Achieving Excellence Communication & Interpersonal Skills. Your technical skills and professional expertise are evidence of your ability to accomplish difficult tasks. Strong presentation skills can help you further advance your communication effectiveness. The ability to present articulately to customers, management, peers and others can significantly enhance your credibility, clout, and professional status. Delivering presentations at work or professional events is an unbeatable way to gain a reputation as a valued employee and an expert in your field. Identify the four essential components of a presentation. Prepare a clear and well-organized presentation/training. Q. How To Be A Good Presenter? What Skills Do I Need? A. Presentation 1: What Are Requirements To Become A Good Presenter? Q. What Are The Roles And Responsibilities Of A Good Presenter? A. Clear Understanding Of How An Effective Concept Of Learning Takes Place. HOW TO FIND DATA FOR MY PRESENTATION? How To Manage THIS JOB When I Am Busy? How To Make Presentation A Passion When Given This Task/Responsibility? Professional Development Series 2 – The Art Of Persuasion & Influencing Communication & Interpersonal Skills, Program Training. Successful persuading is an art; which requires an understanding of human behavior, company objectives and personal goals. The persuading skills of supervisors could greatly impact the workplace atmosphere, and fortunately, these skills can be acquired and sharpened. This two-day training program introduces participants to tools and techniques for persuading in a way that makes it easy for subordinates and staff to be convinced and motivated by the message that has been delivered to them. Improve and adapt their communication styles to address different types of people. Know the different styles of personality and how to use this knowledge to their advantage. Use the outcome-based thinking process and techniques in persuasion. Present and demonstrate their ideas and information confidently. Apply active listening to read prospects’ cues and interest. Apply creative interaction to uncover prospects’ needs and opportunities. Identify personality types and how they fit into a plan for employee motivation. Professional Development Series 4 – Speaking With Impact Communication & Interpersonal Skills, Program Training. Public speaking and presentation skills are not just for politicians, CEOs, and emcees, but also for sales persons, managers, executives, supervisors and students who need to get their message across effectively. One of the biggest objectives of a presentation is to get the message understood by the audience in prospect of having them to either buy your product, idea, or persuade and influence them to act in a certain manner. Presentations are invaluable in terms of personal development. Among others, the presenter builds self-confidence and clarity of thought, learns how to engage an audience, improve diction and memory in addition to learning how to discuss in a constructive and healthy manner. Fortunately, the skills to a good presentation are no secret and they can be acquired and honed over time. This program offers a real value added opportunity for participants to acquire practical and effective tips, tools, and techniques in order to carry out presentations that are meaningful, important, noteworthy and empowering. Identify the dos and don’ts of a presentation. Plan, deliver and evaluate a presentation. Respond appropriately to audience needs and concerns. Discover their personal presentation style. Have better perspectives on public speaking and presentation skills. Select appropriate presentation approaches, techniques and aids. Enhance confidence and skills in a presentation. Professional Telephone Courtesy and Customer Service Communication & Interpersonal Skills. Service Mindset At Work Communication & Interpersonal Skills, Program Training. Organizations go to great lengths to differentiate themselves from one another, usually at much expense. In reality, it is often their service culture that has one of the biggest impacts on customers and helps a customer decide whether or not to do business with the organization. Most businesses lose their customers every day because of bad service and others gain them due to better service. Smart executives know that customer service development is an on-going process. To deliver effective customer service, an organization needs to seriously commit to and invest in their employees who manage the customers. But where do we start? What makes a Customer Service Professional? Also one of the aspects of customer service which is often overlooked is how the customer is handled when things go wrong. How you recover with a customer is critical to building customer loyalty and customer retention. Avoid turning a dissatisfied customer into an angry one! This program is a must buy-in for Managers, Executives, Customer Service Personnel, Sales & Marketing Personnel, Clerks, Supervisors, Officers and all those who need to handle customers. An interactive and practical approach incorporating group discussion/exercises, presentations and role-play. 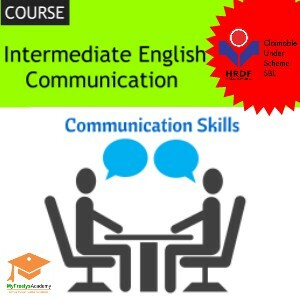 Speak & Write Functional English At The Workplace Communication & Interpersonal Skills. Use an2 on-line tool to help them pronounce words correctly, and not bother with phonetics (out-of-date) which is another language in itself! This program is suitable for everyone who needs to write and speak in English with customers and staff. We have lots of activities as this is active, discovery and experiential learning. Who Is Your Audience And Why Are You Writing This? What Do They Want/Need To Know? The Superstars of Telesales Workshop Communication & Interpersonal Skills. The Experiential economy is upon us and hence time has become an issue with the busy people of today. We have little time for face to face interactions all the time. In these modern times, Telesales has become an important channel to reach out to the prospective customers and clients. In The Superstars of Telesales workshop, the participants will be going through a great journey or skill discovery as well as the right attitude and mindset to make things happen. Writing Clear and Effective Emails Communication & Interpersonal Skills. As an Executive in an organization, skilled written communication is a trait you require to support your managers in dealing with the many letters and emails received from clients and business associates. In this 2-day workshop, we will show you how to organize your words and thoughts on paper, structure your messages logically, present your documents attractively and improve on the style, language and tone in your written communication in English. Using these techniques you will learn a set of skills to develop your own style of writing that will be useful for you in your career advancement. Improve their skills in writing clear and concise letters and emails. Apply the main rules of good business writing. Structure their writing logically using the 4 steps to any type of letter and email. Use plain English to ensure that their messages are read, understood and get results. Compose effective letters and emails. Develop their individual styles in writing effective letters and emails. A mixture using presentation, games, individual exercises and group work. Participants are encouraged to bring in some documents they have sent or received for discussion to analyze for improvement in format, style or language. What Is Business Email Etiquette?